The original streamline procedures originally announced in 2012 were only available to taxpayers who were not U.S. residents. However, the success of the program for taxpayers living abroad has convinced the IRS to expand the availability of the streamlined programs to also include U.S. taxpayers living within the borders of the United States. Today, taxpayers living in the United States and in foreign countries may be able to come back into tax compliance through the streamlined procedures offered by the IRS. Ensuring proper handling of foreign retirement plans like Canadian registered retirement savings plans (RRSPs) and registered retirement income funds (RRIFs) can be difficult for a tax layperson. In recent years, the IRS has made changes to the filing requirements for taxpayers holding this type of account that now results in automatic qualification for beneficial handling similar to that of a 401(k) or IRA plan. Taxpayers are generally eligible for these benefits provided that file taxes for years where they hold an interest in such accounts. In the past taxpayers seeking to receive this benefit were required to file IRS Form 8891 along with their tax return to receive a deferral. Otherwise, tax was due and owing on the retirement plan. 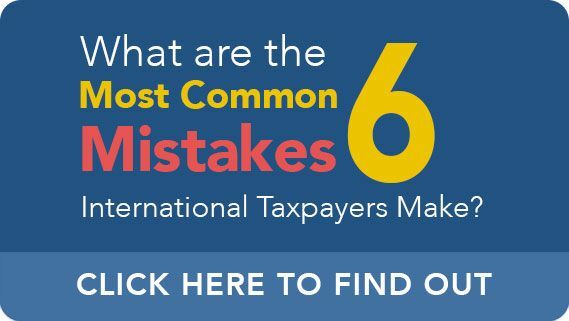 Unfortunately, many taxpayers failed to comply with this requirement and failed to pay taxes or otherwise improperly claimed the deferment. Other taxpayers failed to continue to comply with their then-ongoing annual obligation to report information about the retirement plan including income, distributions, and contributions on for 8891. While Form 8891 no longer exists, tax payers that failed to report their account in past years still can face serious consequences due to these undisclosed offshore accounts. Additionally, one requirement was added to the program: The taxpayer must certify that all previous compliance failures were the product of inadvertent error, mistake, or otherwise not due to willful conduct. The taxpayer or taxpayers must satisfy the residency requirements by showing that they are not living or maintaining a place of abode in the United States. The taxpayer has failed to report a foreign financial asset and pay tax on that asset. A failure to file FBAR may also accompany the failure. Individuals seeking relief for failure to elect a timely deferral of income from a Canadian or other retirement plan must also submit certain paperwork and documents including statements regarding the circumstances that gave rise to the failure and a request for additional time. For eligible U.S. taxpayers living outside of the United States, all penalties will be waived. Fail to satisfy the non-resident test briefly described in the previous section. Failed to report income from a foreign financial asset potentially accompanied by an FBAR or FATCA filing failure. All non-compliance was the result of non-willful conduct. For eligible U.S. taxpayers living within the borders of the United States, the only penalty they will be responsible for is a miscellaneous offshore penalty equal to 5 percent of the foreign financial assets that gave rise to the tax compliance issue. This is a significant discount compare to the standard streamlined procedure offshore penalty of 27.5 or 50 percent. If the IRS discovers your failure to disclose these accounts, penalties become even more severe. Ted Kleinman of US Tax Help is proud to provide tax services to U.S. taxpayers living in the United States, Canada, and throughout the world. To schedule a free and confidential tax consultation, schedule an appointment or contact us online today.